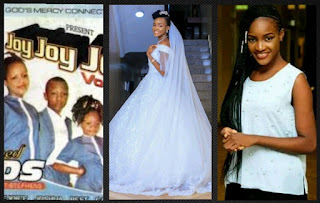 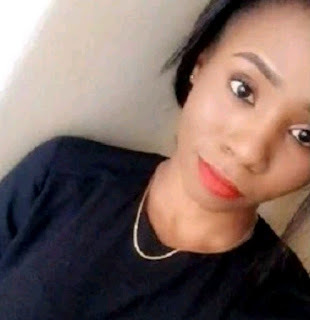 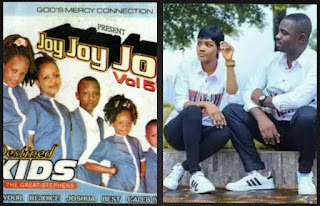 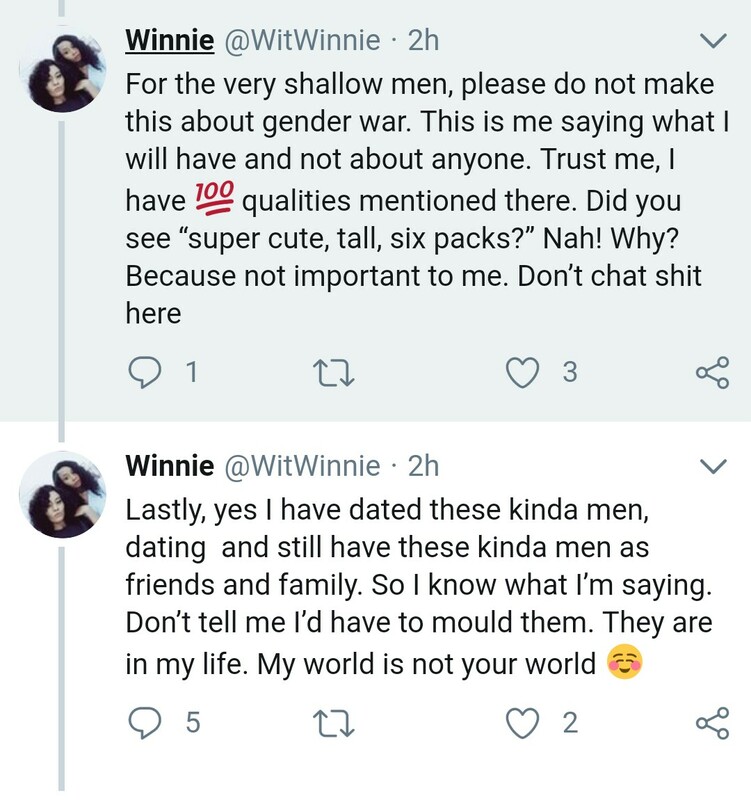 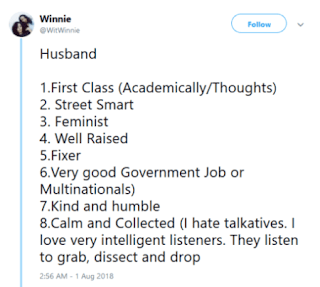 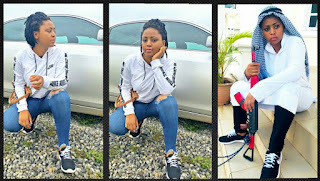 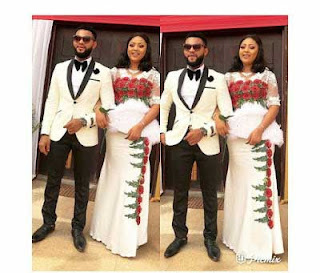 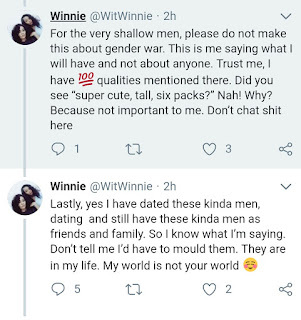 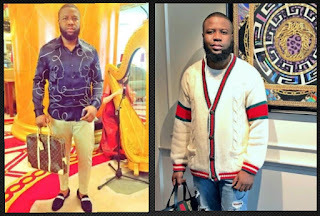 A Nigerian lady identified as Winnie has in her opinion taken to Twitter to list the qualities husband must possess, but the number 1 on the list is a bit shocking. 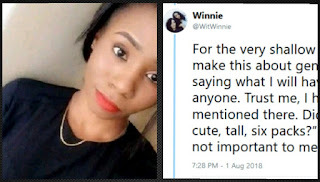 According to the lady with twitter account @WitWinnie, he must be a first class candidate, both in thought and academically. The lady went further to mention that he must also have a very good job, which could either be a government or multi-national job.